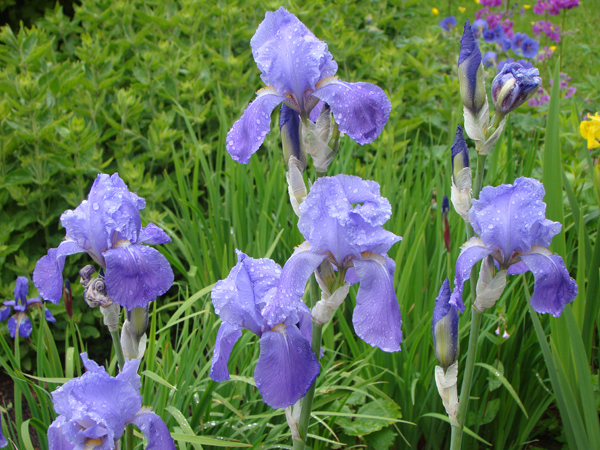 June is when our iris flower next to the pond. They inspire me to draw, paint and to pick up my camera. They have a page in my garden scrapbook. We have had a heat wave here in England in July but when I took my photo in June they were covered in raindrops. When I started to work with felt I made a felt picture but it just sat in a box with other felt picture experiments until I had the idea of using it as the base for my June leaf. 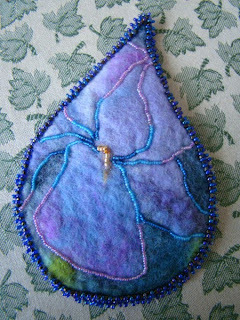 I didn't want to cover too much of the felt so started by outlining the petals and then added a beaded edge. 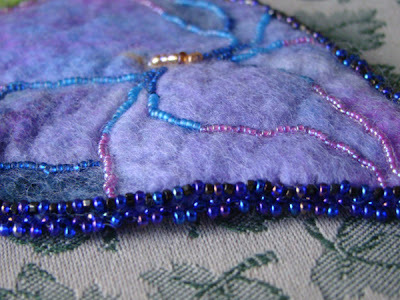 Not so much beading this time but I like the blend of the felt and the different coloured beads. Sooo pretty! 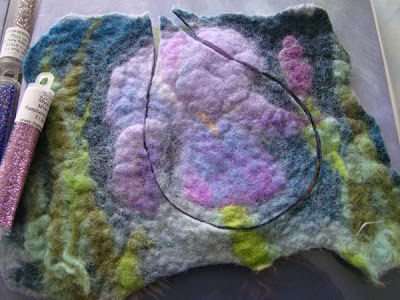 Beautiful colors, gorgeous felted piece. 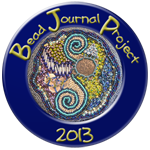 Congratulations on this piece of art, Evanna!